It has been said that “our eyes are the window to our soul.” No wonder then, many clients want to enhance their look by accentuating their eyes! Professionals know that highlighting the eyes is a 3-step process, because eyebrows also define, frame and bring attention to the eyes. Clean up and reshape the browline. We recommend using a high-quality hard wax to easily control the application and achieve maximum removal of stray hairs. Pick up some more brow shaping tips in our Blog article “How to Achieve a Perfect Brow”. Then, proper coloration of the brows, using a professional quality brow tint. This will enhance the brows while keeping a very natural look. Now that your client has beautiful brows, you can follow with lash tinting or extensions to achieve that WOW look! is extremely practical and time-saving. Tinted eyelashes make the eyes look expressive and attractive for up to 6 weeks – even without mascara. The lashes appear to be longer and thicker, because tinting accentuates the full length of the lashes. Tinting is very popular with contact lens wearers- no more mascara irritation to suffer! Sport enthusiasts love eyelash tinting because it is water resistant and does not smear or run when working out like makeup. As mentioned, being certified to apply lash extensions is definitely a must. Smart clients will look for lash techs that have taken courses from a reputable company. Anyone can learn (allegedly) to apply lash extensions by watching a YouTube video or two, but only legitimate training courses explain how to properly isolate each lash for extension application. Also, technicians learn about the chemistry behind the work and the ingredients in the glue. Speaking of the glues, clients will be looking for the best products with no eye irritants, that are certified safe by dermatologists. Most clients will ask to see pictures of your previous work. Have several high-quality, well lit pictures taken of your best work. Don’t hesitate to charge the going rate for your work; keeping your price too low in an effort to gain more customers may backfire, as most clients are aware of the “you get what you pay for” rule- PRICE DICTATES QUALITY. 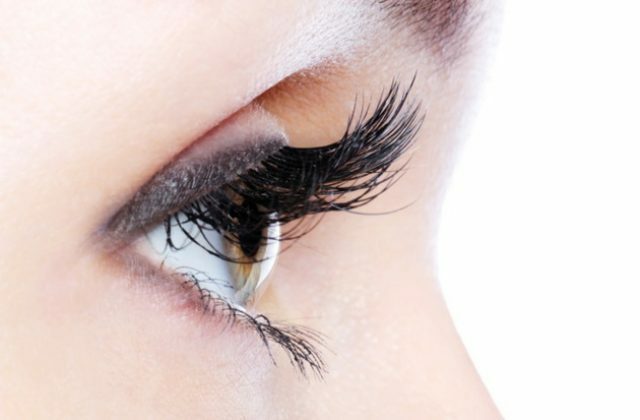 Lash extensions last through a full growth cycle of natural eyelashes, and will fall out as the natural lash sheds. Typically, this occurs every six to eight weeks. You might want to suggest a maintenance appointment at about 3 weeks to keep the freshly applied look. Extensions are effortless….once applied. Appointments will take between 45 minutes to 2 hours. Once the glue has set, showering and face washing is a go, as long as it is done gently, once a day, with no oil based products, and is finished with a little lash combing to straighten out the lashes. Yes, your client can use mascara in addition to the extensions, but just on the tips of the extensions. This will prevent clumping at the base.